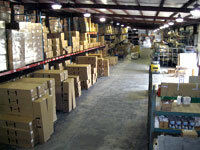 Backed by over 30 years in the truck accessory business, TruckProUSA is staffed by experienced truck enthusiasts. When you shop with us, you can be sure you're dealing with people who know and love trucks. We're here to answer your phone calls and live chats Monday through Friday from 8am to 5pm Central time. Emails are often answered after-hours and on the weekend. You can feel confident that we'll be here to answer your questions in a timely manner.